Those labeled "black widows" after last spring's metro bombing find it difficult to go on with their lives, especially as terrorist attacks continue. The young woman says she prefers to stay at home -- "locked between the four walls" of her apartment rather than confront the accusing looks of strangers in this largely Muslim region of southern Russia. What has turned into a public nightmare for Zaira began last spring after two women also from Dagestan blew themselves up on the Moscow subway, killing 40 and wounding more than 100 passengers. They shared more than geography with Zaira. Like her, their former husbands were slain insurgents who had battled Russian forces in the North Caucasus. Because a number of suicide bombers targeting Moscow have been the wives of dead rebels, they have been dubbed "black widows" by the Russian media. After the attack, Russian newspaper Komsomolskaya Pravda published the photographs of 22 actual and potential "black widows," with personal information such as the districts where they lived. The first portrait on the list was of one of the Moscow Metro bombers. The headline said: "1,000 widows and sisters of Dagestan guerrillas help terrorists." Zaira’s picture was among the 22, an unmistakable accusation that she was a potential suicide bomber, someone to be feared and watched. "How reckless of them to put me on that list!" said Zaira, in a recent interview. "If I wanted to commit a terrorist attack, I would have not lived openly in Dagestan’s capital. I would not have enrolled my son in school." In the last decade, Russia’s security agencies have tended to label all fundamentalist Muslims--called Wahhabis by the police, even though they do not always accept that term themselves--as terrorist suspects. And the police have engaged in sometimes brutal tactics in an attempt to suppress a violent insurgency, according to human rights activists. "Your house gets burned, and you and your family may “disappear” or be murdered," said Tatyana Lokshina, of the Moscow office of Human Rights Watch. "Brutal methods and the lack of free space for alternative opinion or religious views push youth into the underground." Lokshina said that when the list of the so-called Wahhabi widows was released to the newspaper by police officials, nobody cared much about the women’s rights, or the effect such a branding might have on their lives. It was just another tactic in a dirty conflict, she said. But police insist they are fighting a deadly enemy across the Caucasus. Last week, they arrested another young woman and alleged "black widow" in the Russian republic of Ingushetia. Fatima Yevloyeva, 22, was a sister of Magomed Yevloyev, the suspected suicide bomber who recently struck at Domodedovo airport, killing 36 people in the arrivals area. Investigators say Fatima had traces of explosives on her hands; allegedly she helped her brother to build the bomb. 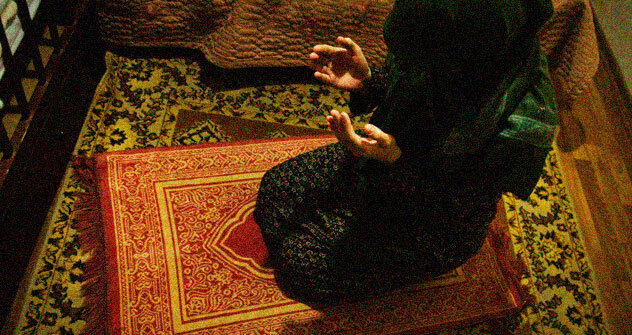 Fatima’s husband, a suspected insurgent, was killed last summer. Last year, Dagestan led Russia in the number of terrorist attacks: 68 people died and 195 were injured in 112 attacks, five of them committed by suicide bombers. Human Rights Watch reported 20 abductions and 8 murders of fundamentalist Muslims by the police in Dagestan in the last six months of 2010. According to deputy prosecutor general Ivan Sydoruk, there were twice the number of terrorist attacks in 2010 than in 2009 in the entire North Caucasus. "To reform Islam in Russia, the authorities need to make an effort to listen to all religious leaders, and not just to the loyal ones," said Lokshina. "The development of civil society institutions that would protect human rights is the solution to Dagestan’s partisan war." Gennady Gudkov, a member of parliament and deputy head of the security committee, said legislators need new political power to oversee counter-terrorism efforts by the country’s security services. Gudkov complains that parliament has no control over the National Anti-Terrorism Committee, the main agency charged with leading the campaign against terrorism, and can’t even get basic information about what the Committee is doing. "We deputies are not allowed to investigate the Committee’s work," he said. "So it is a big secret what methods they are using to fight terrorism. We have no idea." And the case of Zaira suggests that some of those methods may be counter-productive. Since her first husband was killed in the mountains six years ago, Zaira said she has tried everything to move on and build a new life. She remarried, had another baby and got a job. All of that collapsed with the newspaper list. Zaira lost her job as a cleaner at a store. She said she took her 8-year-old son out of a secular school, and enrolled him in a private religious school, after a teacher beat him for being a Wahhabi. The police, she said, frequently question her. "We wish we could fit in," she said. "But we are being pushed out."